Today was an interesting day. We are currently outside of Los Angeles, CA to visit my sister. She offered to watch all three of our children for the day while Heather and I enjoyed some children-free time. We had such lofty goals for the day on our own, but alas, reality set in part way through the day and our fun was cut short. We started the day off by dropping the fifth wheel, our home, at a repair shop for them to determine why the trailer brakes are not actuating when the brakes are applied. Then we dropped off the kids, and we were on our own! 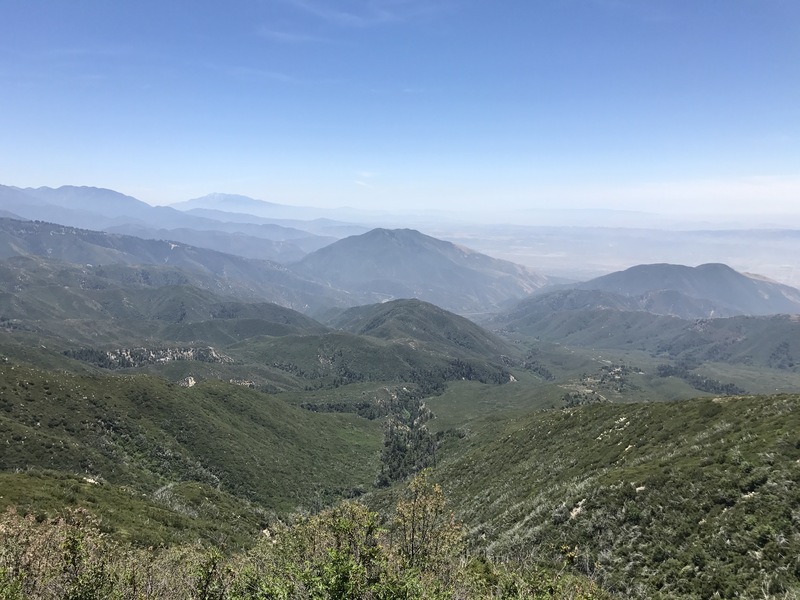 We started our day alone on a high note as the truck climbed 4,000 feet of elevation into the San Bernardino National Forest. We strolled down the Sequoia Nature Trail at Heaps Peak Arboretum. It was a peaceful stroll through the forest listening to the birds and admiring the trees and bushes along the trail. We then stopped by the Hotshots Wildland Firefighter Helipad at Heaps Peak. 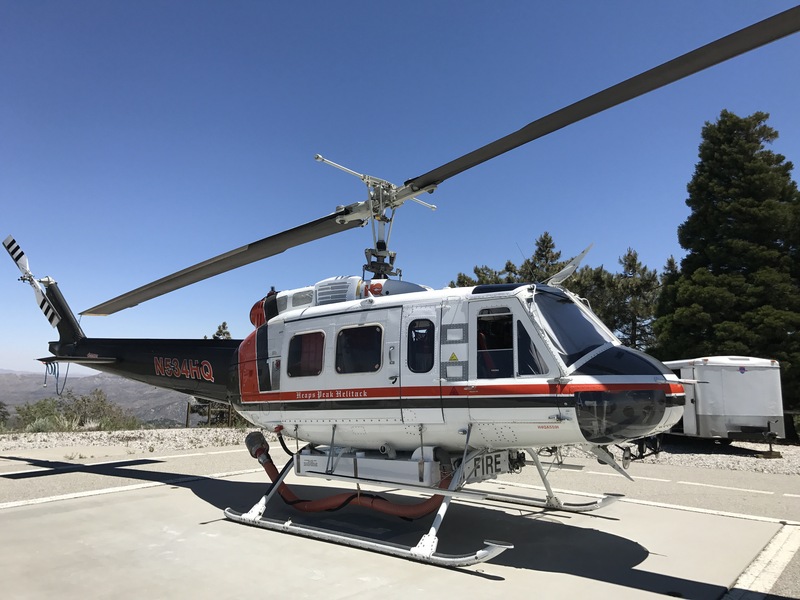 One of the crew members showed us around the aircraft and let us climb up into the helicopter as he explained the functions and features of the aircraft. 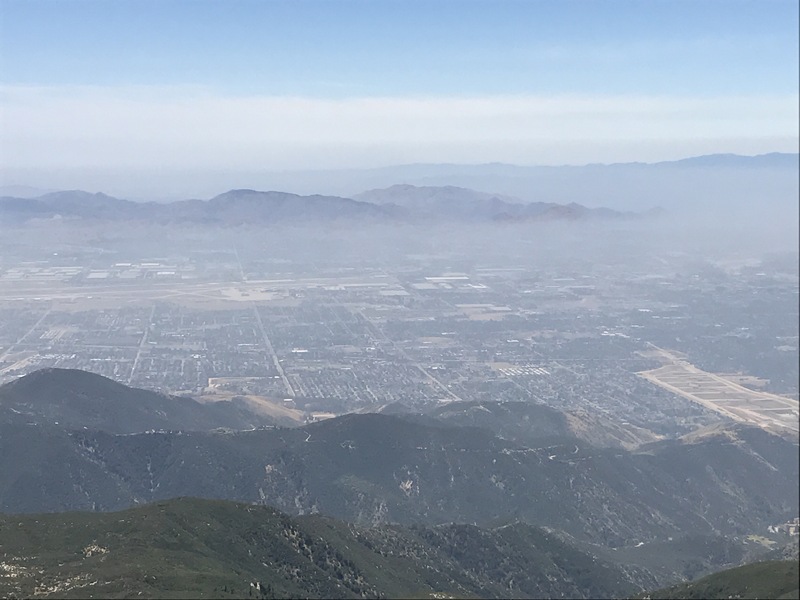 After pulling out of the Helipad, we drove along the Rim of the World Scenic Byway, which offered some fantastic views out across the San Bernardino valley below. As we descended out of the forest we got a call from the RV repair shop informing us that we would need all 4 of the brakes completely replaced on the RV (to the tune of $1,100), and that it would not be done until tomorrow, which posed a problem for our full-time RV family, as it is our home. The shop said we were not allowed to stay in the RV on their property, so we would need to get a hotel room for the night. We spent most of the remaining drive getting a pet-friendly hotel booked, handling miscellaneous logistics, and thinking of what all we would need out of the RV for the next 24 hours. We stopped by the repair center to retrieve items from the RV and load them into the truck. It was now going on 2:30pm, so we stopped for some very good Philly cheesesteak sandwiches and onion rings before returning to my sister’s house to reclaim our children and heading to the hotel for the night. 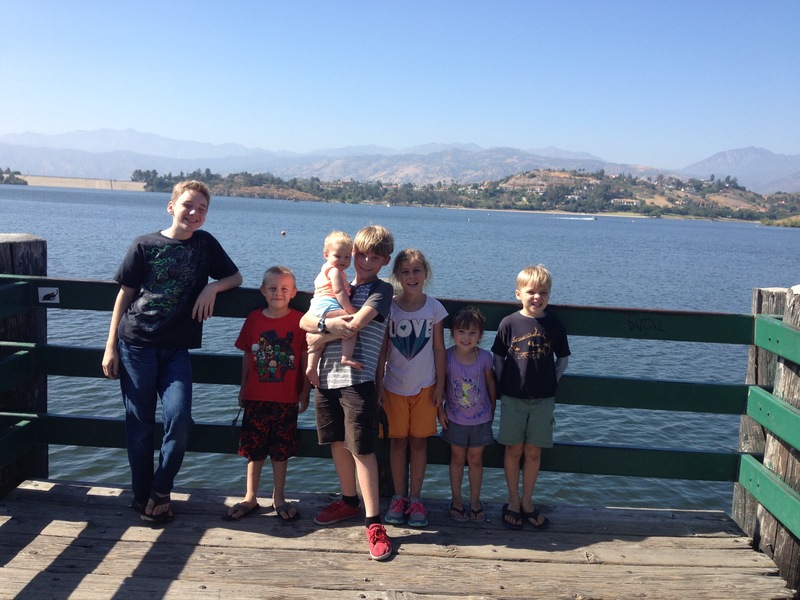 We heard that the kids thoroughly enjoyed the day spent with cousins, which was not a surprise. The night ended on another high note as I got to sit in the hotel room watching baseball and eating buffalo wing flavored pretzel pieces as the kids played on the floor and beds of the hotel room. Tomorrow we should have the RV back and will be off on our next adventure. 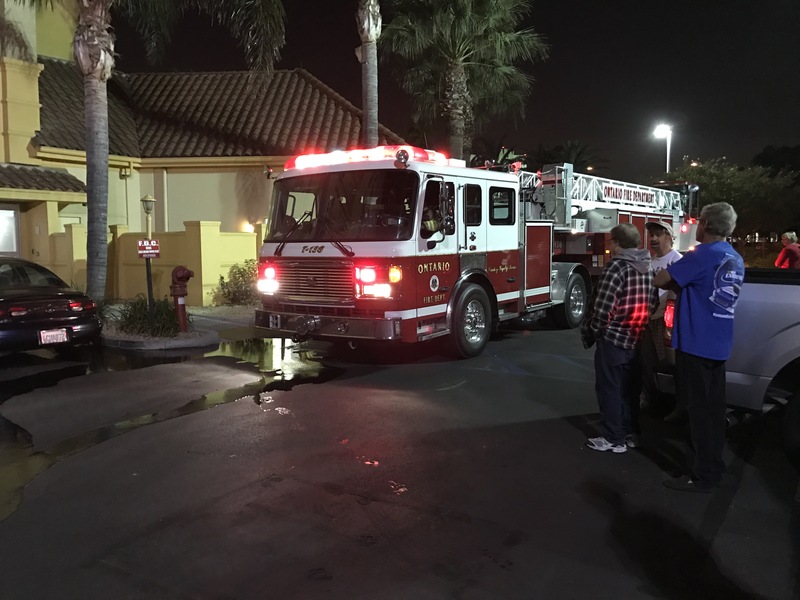 Addendum: At 10:40pm the fire alarm went off, water flowing in the sprinkler system. Fire Dept now on scene as we watch from the parking lot.